Teaching children the Word of God through fun and creative crafts. These are the crafts that can be used with the Lifeway’s Game On! V.B.S. program. Although most Vacation Bible School curriculum programs provide or sell their own Bible crafts, many times they have nothing to do with the Bible story of the day or not much thought went into designing them in the first place. My hope is that these crafts will help make planning your Vacation Bible School a little less stressful. This entry was posted in 2018, Bible Crafts, V.B.S. 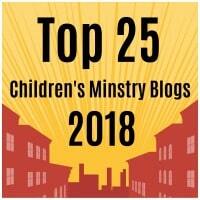 2018 and tagged 2018, believed, bible crafts, catch, craft ideas, cross, Easter, fish, Game On, gospel, Lazarus, Lifeway, Paul, prison, resurrection, risen, silas, supper, the lost sheep, thomas, Vacation Bible School, VBS, VBS 2018. Coloring pages are a great way to end a Sunday School lesson. They can serve as a great take home activity. Or sometimes you just need to fill in those last five minutes before the end of class. Preview and print this free printable coloring page by clicking on the link below. Feel free to browse all of our Bible print-outs. All images used with permission of Patmos Editorial Company. 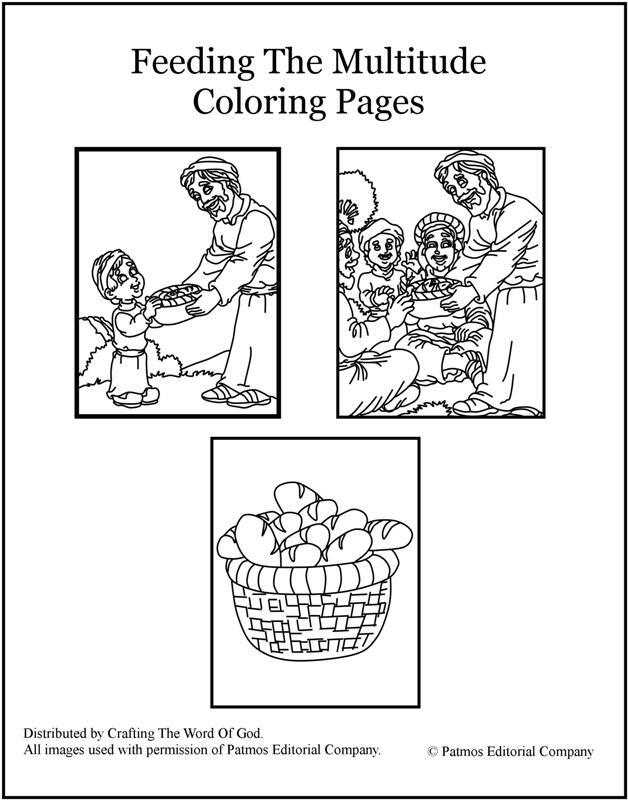 This entry was posted in Coloring Page, Jesus, Miracles, NT Crafts, Printables and tagged 5000, bread, coloring page, feeding 5000, feeding multitude, feeding the multitude coloring page, fish, Jesus, loaves bread, miracle. Activity sheets are a great way to end a Sunday School lesson. They can serve as a great take home activity. Or sometimes you just need to fill in those last five minutes before the end of class. Preview and print this free printable activity sheet by clicking on the link below. Print the template on regular copy paper, but I recommend card stock. Color then cut out each puzzle piece. To make the pieces last longer you can laminate each individual piece. This entry was posted in Activity Sheet, Jesus, Miracles, NT Crafts, Printables and tagged bread, feeding the crowd, feeding the multitude, fish, Jesus, loaves, miracle, puzzle. 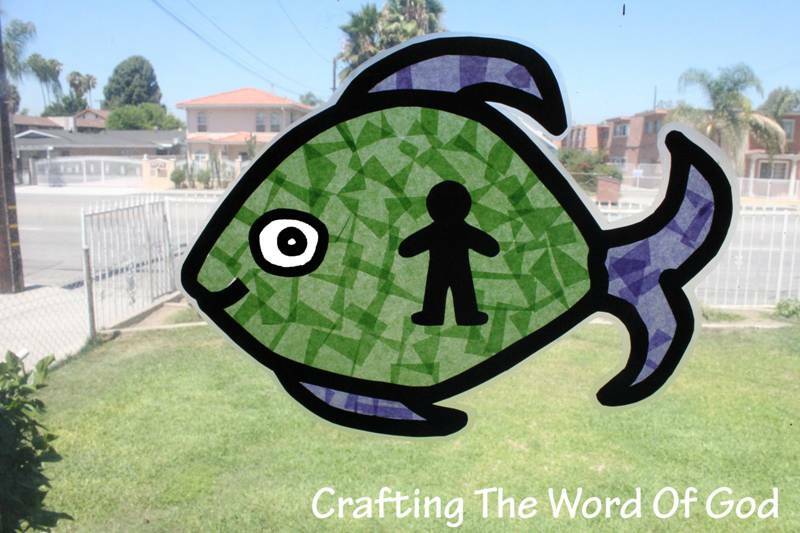 This entry was posted in Activity Sheet, Jesus, Miracles, NT Crafts, Printables and tagged fish, Jesus, Jesus miracle, miracle, miraculous catch of fish, puzzle. 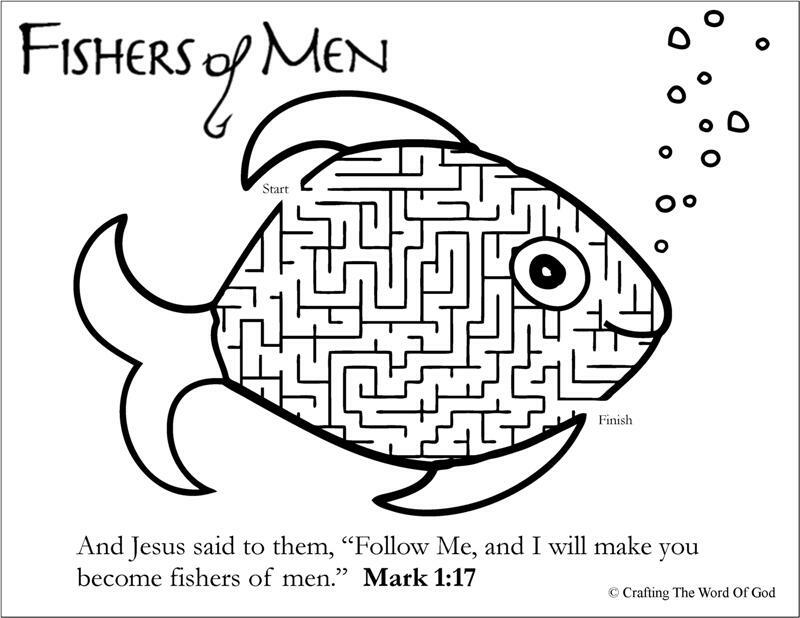 This entry was posted in Activity Sheet, Jonah, OT Crafts, Printables and tagged dissobey, fish, great fish, Jonah, puzzle, repent. Things are starting to calm down around here so I decided to upload a quick post. This is another quick, but cute sun catcher craft. This time for one of my favorite stories; the story of Jonah and the great fish. Glue the template sheet to the back of a sheet of black construction paper. Cut out all of the white from the template. You will be left with the fish border shape. Keep the eye and body figure. Place the fish shape onto a self laminating sheet or contact paper, construction paper side down. Then place the eye and figure inside the body of the fish. Fill the inside of the fish with tissue paper. Cover with another sheet of self laminating sheet or contact paper. Cut out the fish from the laminating sheet or contact paper. Stick the fish to your window with double sided tape. This entry was posted in Bible Crafts, Jonah, OT Crafts and tagged bible crafts, boat, craft, crafts, discipline, disobey, fish, God, Jonah, obedience, overboard, ran away, ship, sin, sinned, sun catcher, swallowed, whale. 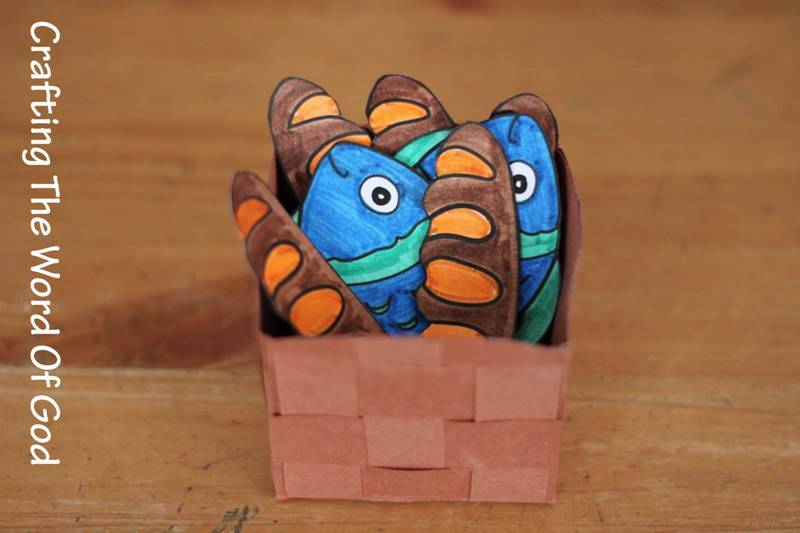 This cute craft is for the story of Jonah and the great fish. Your kids will be able to recreat this Bible story for themselves. Color and cut out all of the pieces. Glue the small Jonah onto the the thin strip of paper. Cut along the thin solid lines on the fish. Stick the large strip of paper through the large slits. Stick the thin strip of paper through the smaller slits. Now it will be easy for your kids to share the story of Jonah with their friends. This entry was posted in Bible Crafts, Jonah, OT Crafts and tagged bible crafts, craft, crafts, discipline, fish, God, Jonah, Jonah and the fish, Jonah and the great fish, Jonah craft, repentance, whale. This entry was posted in Activity Sheet, Bible Crafts, Jesus, NT Crafts, Printables, Teachings and tagged bible crafts, children, coloring page, craft, crafts, evangelism, evangelize, fish, fisherman, fishers of men, Fishers Of Men Puzzle, gospel, Jesus, men, preach the gospel, preaching, print out, printable, puzzle, teaching. 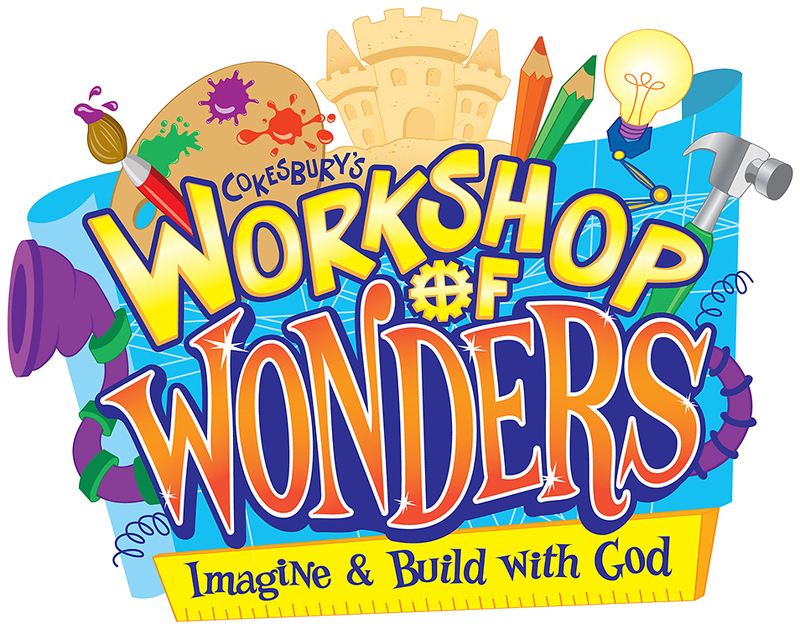 Here are the crafts for Cokesburry’s Workshop Of Wonders. I’ll be updating this post as I come up with new crafts. This entry was posted in 2014, Bible Crafts, Updates, V.B.S. 2014 and tagged bible crafts, bread, Cokesburry, Cokesburry's Workshop Of Wonders, craft, crafts, emmaus, Esther, faith, feeding 5000, feeding the multitude, fish, loaves, miracle, mustard seed, Queen Esther, Rebuilding The Lords House, Rebuilding The Temple, Vacation Bible School, VBS, VBS 2014, Workshop Of Wonders, Workshop Of Wonders VBS. A Bible craft for the story of Jesus feeding the multitude. Color and cut out the fishes, loaves and square piece. For older kids: Take the circle piece and on the back glue on brown strips of paper in a weaving pattern. For younger kids: On the back of the circle piece print the basket pattern. Cut out the circle from the construction paper, making sure to add glue to any strips of construction paper that become loose. Take the finished circle, cut on the dotted lines and fold on the solid lines. Add glue one at a time to each corner of the circle to form the basket shape. On the square piece fold on the solid lines. Place it inside the basket. Finally place the fishes and loves inside the basket. This entry was posted in Bible Crafts, Disciples, Jesus, Miracles, NT Crafts and tagged 5000, 5000 fed, basket, bible crafts, craft, crafts, crowd, disciples, feeding the multitude, fish, fished, five thousand, Jesus, loaf, loaves, multitude, multitude fed. Hey guys, this last month I’ve been a bit busy with my churches Vacation Bible School. I should be getting back to my normal uploading schedule next month.